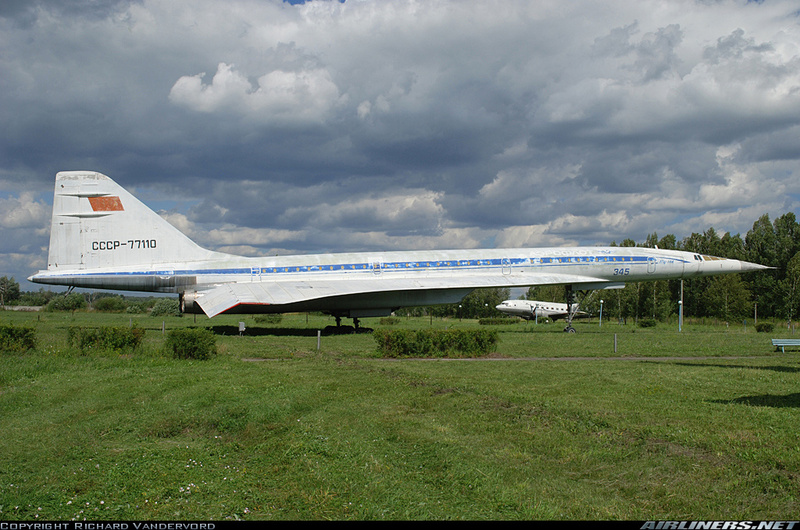 The Tu-144 was to be the Soviet Union's entry into the high-prestige word of supersonic passenger travel. At the beginning of the 1960s, supersonic transports were expected to be the way of air travel in the future. Every industrialised nation was either involved with planning one, or enviously looking on. The SST was the prestige project. In the Soviet Union, the design bureau of Andrei Tuploev was assigned the task of developing the aircraft. Tupolev's son Alexei was chosen to head the project. Tupolev chose to develop the aircraft in two stages. The first would be an aerodynamic prototype to prove the delta wing concept and aerodynamics, with the fully-developed aircraft to follow along later. This allowed the Soviets to score a propaganda victory by flying the prototype on Dec 31st, 1968 even though it was much smaller and quite different from the aircraft's final configuration. The Tu-144 fell victim to the Soviet Government's indifference to civil aviation, and was handicapped by its politically driven introduction into service before its flight testing and development were complete. The aircraft put into service were handicapped by their engines' high fuel consumption, and by cabin noise levels that were embarrassingly loud. After several inflight equipment failures that were kept from being disasters only by the extreme professionalism of the flight crews, the Soviet Government, not wishing to have a propaganda disaster on their hands, suspended the passenger service less than a year after it began. The Tu-144 was always in the shadow of Concorde, and its public perception never recovered from the 1973 Paris Airshow disaster where the second development aircraft crashed while attempting to avoid a French Air Force Mirage that may have approached too closely. The exact circumstances of this crash have never been made completely clear. 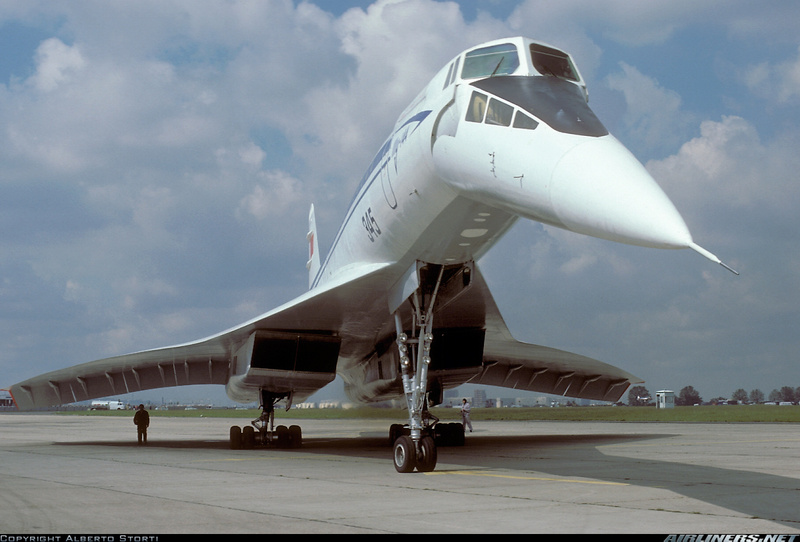 In the latter half of the 1990s, RA-77114 was rebuilt using a set of engines from a Tu-160 and used as a flying laboratory by NASA and several Russian design companies. It made a series of 27 flights exploring the mechanics of supersonic flight. The data obtained from these flights will be kept for use in future supersonic designs. The wings are each comprised of a one piece lower section and upper right and left halves. The elevons and their actuators are separate. There are 5 ejector pin towers left over inside the lower wing section which must be trimmed down in order for the wings to fit properly. Take care not to trim out the circular pedestals nearby; those are needed to establish the correct wing thickness. The elevons have static discharge wicks moulded into their trailing edges. They are quite delicate while at the same time being out of scale. Care will have to be taken to ensure they are not broken off during construction. Since this aircraft was a tailless delta, there is no empannage as such to discuss. The landing gear struts and wheels are finely moulded and nicely detailed. The main struts are fairly complicated, and ICM has included an addendum sheet to the instructions showing their recommended assembly sequence. The nose gear strut is similarly well detailed and has 6 small clear landing lights. They could use some brake lines and whatever else the modeller likes, but will look good without them. The wheels themselves are properly thick and the detail moulded into the hubs is very good. There is an option for raised gear, and a stand is provided. As with all 1/144 kits, the gear doors are fairly thick but the real aircraft's main gear doors were quite thick. The nose gear doors are a trifle too thick, but there is no significant detail inside them, so they may be sanded down if you wish. ICM did make an effort to get the edges thin. The decal sheet provides for the only two Tu-144s that flew scheduled passenger services. CCCP-77109 flew the first commercial service between Moscow and Alma Ata (now Almaty, Kazakhstan) in November of 1977. CCCP-77110 was the display aircraft at the Paris Air show in June of 1977. Apart from the registrations, the only differences are the АЕРОФЛОТ titles and the Paris Air Show display numbers. The decals are printed in ICM's familiar matte finish. They have good registration, but the edges of the cheatlines are slightly blurry. No window decals are provided. I removed the major parts from the sprues and taped them together to test the fit. The long fuselage seam is going to be a challenge, as is the very complicated fit of the engine nacelles into the lower wing and aft fuselage. When placed beside my Revell Concorde, the size of the Tu-144 becomes apparent. When comparing the wings, remember that the Tupolev's elevons have not been fitted. CCCP-77110 in Paris, June 1977. CCCP-77110 preserved in Ulyanovsk, looking a little worse for wear after enduring 30 Russian winters. Highs: Delicate parts with a lot of detail for 1/144 scale. Fine engraving and a subject that hasn't been done to death. Lows: Warped fuselage and complicated assembly make this one a little more difficult than your usual airliner. No window decals. Verdict: The only other Tu-144s in this scale are the very expensive Bra.Z resin kit or the nearly impossible to find Entex kit of the prototype.